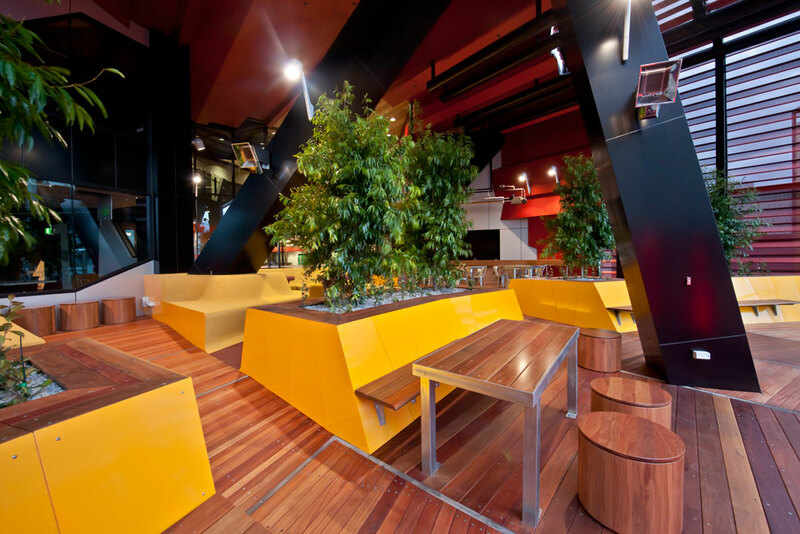 RMIT University in Melbourne opened up their brand new $200 million state of the art education facility last week, which includes eight unique lounging "portal" spaces for the students to study and socialize. Rush Wright Associates and Lyons Architects spearheaded the spectacular 11 story structure that is said to be a new iconic building for the city. 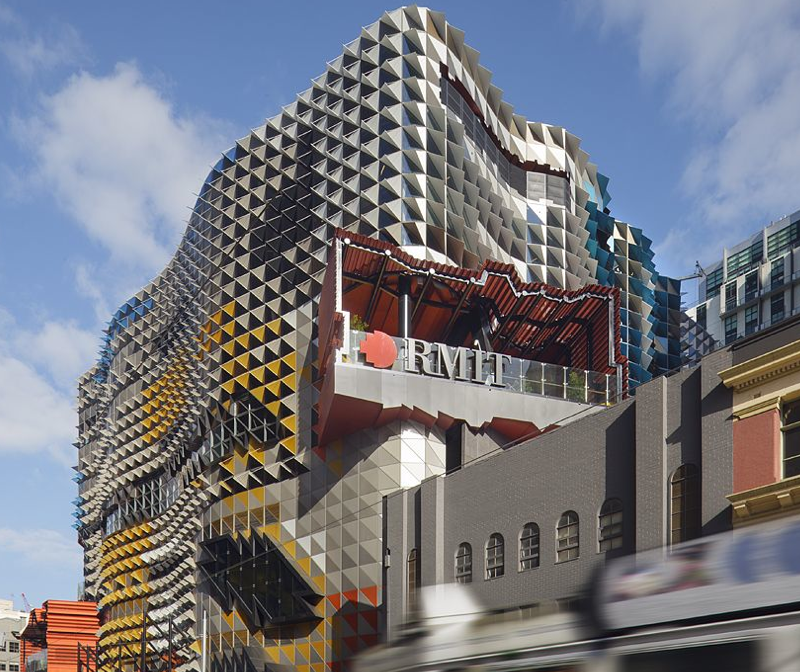 It's colorful, wavy , and 3-dimensional Swanston Street facade adds a vibrant flare to the cityscape. Inside the facility are eight student portals that are different in style and function - one of our favorite spaces is the student patio/lounge area which is half indoor and half outdoor. The lounge is finished in warm wood with bright yellow furniture that co-exists with the architecture. To give the space a patio like atmosphere, large green plants are planted into raised custom made planting pots, picnic style tables are added, and one wall opens completely to allow students to study in comfort in the presence of a breezy exterior vibe!